There are 2 posts tagged Podcasts (this is page 1 of 1). At the 1998 Olympics in Nagano, Japan, one athlete pulled a move that, so far as we know, no one else had ever done in all of human history. This piece of podcasting is an object lesson in how to make audio that engages. This is how you tell a story. 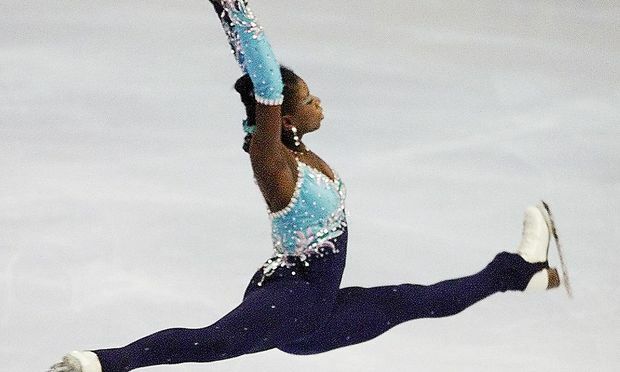 The episode has everything: the bizarre marketing stunts of the coach of a black ice skater, the nearly inevitable paranoia of a black person when it comes to racism, the sound of ice skating, the difference between esthetics and (heroic) athleticism. All topped off by someone taking a stand. Do yourself a favour and listen to it. What on Earth is RSS Cloud? Arjen Vrielink and I write a monthly series titled: Parallax. We both agree on a title for the post and on some other arbitrary restrictions to induce our creative process. For this post we agreed to write about a new technology using Linux Format‘s “What on Earth is …?” style (see example on Android). We did not agree on a particular technology and we would get bonus points for a nice pixellated image to accompany the post. You can read Arjen’s post with the same title here. RSS Cloud? I am getting a bit tired of this cloud computing trend. Yes, I also think that cloud computing is slightly over hyped. However RSS Cloud is not about cloud computing. It is about bringing real-time updates to the RSS protocol. I have only just grasped what RSS is. Only the technorati seem to use it, normal computer users have no idea. Indeed: most people have no idea what RSS is or how they can use it. They still visit all their favourite news sites one after the other to check whether something new has been posted. However even people that don’t understand it often use it. If you download podcasts through iTunes you are using RSS technology. Furthermore RSS is the technological glue for many of the popular mashup sites. You don’t need to understand a technology for it to be useful to you. Fair enough, so how would you explain RSS Cloud to a lay person? Sites that have content that changes often (think blogs or news sites) publish an RSS feed on their server. Whenever a new item is posted it will be added to the feed, usually dropping the oldest item from the list at the same time. If you are interested in those news items you can use a news reader (also called an aggregator) and tell this news reader to check whether new items are added to the feed, if there is an update, then the news reader can retrieve it. A news reader typically does this every fifteen minutes or so. This means the news can be 15 minutes old when you get it. RSS Cloud makes it possible for news readers to subscribe to the updates of a feed. Whenever something new is added the feed, the RSS Cloud server notifies all subscribers so that they can pick up the content immediately: in real-time. Another buzz word! What is the benefit of real-time? Can’t people just wait a couple of minutes before they get their news? People listen to the radio so that they can hear the sports results in real-time. Weren’t you upset when all your friends knew about Michael Jackson’s death earlier than you, because they heard it on Twitter? The success of Twitter search and trending topics shows that people want to know about stuff as it happens and not fifteen minutes later. Now that you mention it: Twitter indeed works in real-time. Why do we need something else, what’s wrong with Twitter? Twitter actually also uses a “polling” model for its content. Each single Twitter client will have to access the Twitter API to see whether something new has been posted by the people you are following. This is a huge waste of computer resources. All these clients asking for new information even if there is none. It is a model that does not scale well. A “push” model actually works much better in this respect. Oh, so it is a bit like the difference between getting your email once every couple of minutes and getting it immediately on your Blackberry? Yes, that is a nice analogy. The Blackberry uses push email. You get the email as soon as it hits the server, because it is pushed to your phone. Traditional email clients, like Outlook, go to the server once every couple of minutes to see whether something new is there. So what large company is trying to push this idea? This time it is not a big company trying to establish a standard or protocol. The RSS Cloud protocol is designed by Dave Winer who also drafted the original RSS specification. Dave Winer, isn’t that the guy that loves to rub people the wrong way? He is a controversial character and is certainly very vocal and opinionated. 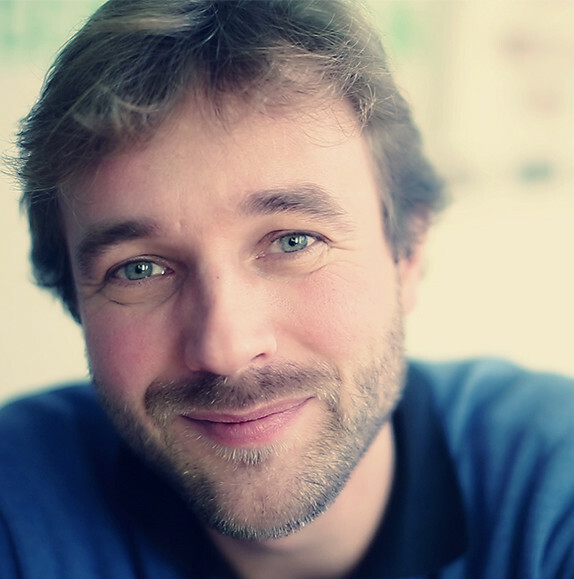 At the same time, he is a true pioneer and one of those people that embody the values of the Internet. His vision for Cloud RSS is not about blogging. Instead, he wants to provide a decentralised architecture for microblog messages. To him the fact that Twitter centralises all the microblogging activity is a real vulnerability. His goal is to create a network that can work alongside Twitter without being in the control of a single company. Talking about companies. I suddenly remember hearing about a similar technology. One of these cute names with many vowels? You probably mean PubSubHubbub. This is a Google sponsored protocol that has already been implemented in Google Reader. Great: another standards war. VHS versus Betamax, RSS versus Atom, Britney versus Whitney. Will we never learn? This shouldn’t become a problem. RSS and Atom for example live happily next to each other now. It is easy to implement both. PubSubHubbub has a slightly different goal in comparison to Cloud RSS. It focuses mainly on blogging and associates itself with Feed Burner. The two technologies should be able to live next to each other, at least that is what Dave says. Well, let’s hope he and you are right. By the way, isn’t this Cloud RSS just another sneaky way to measure subscribers, generate some statistics and store information about where they are from and what they are doing? 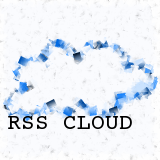 It is true that an RSS reader will have to register itself with the the RSS cloud for the protocol to work. However the RSS cloud forgets about the RSS reader if the registration isn’t renewed every 24 hours. You also have to remember that many people will use readers that do not support RSS Cloud. There are much better ways to get statistics. Aren’t you a learning technology person? What does this have to do with learning? I am very interested in Cloud RSS because I am a learning technologist! Like all new Internet based technologies it will only be a matter of time before some smart developer finds a way of using this in some unexpected fashion. Remember: technology creates feasibility spaces for social practice! Just think of what kind of course delivery models RSS has made possible: the Connectivism and Connective Knowledge course could not run without it for example. You are a Moodle evangelist. Does Moodle support RSS Cloud yet? I haven’t checked, but I doubt it. It is very new and the Moodle developers are focusing on getting Moodle 2.0 to a beta release. However, I am sure that in the future, parts of Moodle will move towards real-time. Imagine how Cloud RSS could be used to create activity streams or notify people of comments on their work. It could effectively bridge the gap between asynchronous activities like discussion forums and assignments and synchronous activities like web conferencing. Ok, you have managed to pique my interested. Where can I go if I want to start using it? There are two ways of using it. First, you can make your own feeds RSS Cloud enabled. If you have blog at WordPress.com this is automatically the case. You can opt-in if you host your own WordPress blog. The other way of using it would be to have an RSS reader that supports the protocol. Currently only River2 supports it and Lazyfeed has announced that it will support it too. Only web based readers can support it, as the RSS Cloud server needs to be able to ping the reader with the update. Are there any sites that can tell me a bit more? The current home of the protocol is http://www.rsscloud.org. Here you will find news about the protocol and an implementation guide. The Wikipedia entry could be better. Why don’t you help fixing it?